Polycystic Ovarian Syndrome Series Wins National Cable Television Award by Pcos Challenge, Inc.
Health Reality Series Changes Lives and Perceptions About PCOS. Some studies suggest that up to seven million women in the U.S. who have PCOS are still undiagnosed. We must make PCOS a public health priority! 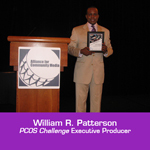 Washington, DC-MD-VA-WV (1888PressRelease) August 10, 2011 - PCOS Challenge television series addressing Polycystic Ovarian Syndrome wins national award for "Best Informational Feature." 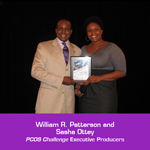 PCOS Challenge was named the professional category winner for programming from over 3,000 education, government and public stations across the country by the Alliance for Community Media. 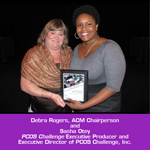 "This prestigious award represents the highly quality and impact of PCOS Challenge," says Debra Rogers, Chairperson for the Alliance National Board of Directors. PCOS is a complex hormonal, metabolic and reproductive disorder that affects one-in-ten women. It is the primary cause of infertility in women and a precursor for other serious conditions including obesity, cardiovascular disease and type 2 diabetes. The PCOS Challenge television series follows ten women with PCOS as their lives are transformed by health and medical experts including three coaches - registered dietitian Rebecca Mohning, fitness trainer Josef Brandenburg and clinical psychologist Ruth Wittersgreen. The show addresses common PCOS symptoms and related conditions including infertility, diabetes, obesity, cardiovascular disease, anxiety and depression, and hirsutism. 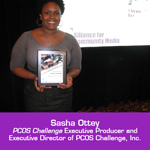 "PCOS Challenge puts a new face on Polycystic Ovarian Syndrome," says Sasha Ottey, the television series creator and Executive Director of PCOS Challenge, Inc. "It's often easy for people to ignore a term like PCOS when they hear it, but it's a lot harder to ignore the physical, emotional and psychological effects when you see the real life struggles women with PCOS face every day." "There's an enormous health disparity when it comes to women with PCOS," Ottey says. "Some studies suggest that up to seven million women in the U.S. who have PCOS are still undiagnosed. This must change. It is imperative that we help women get diagnosed and treated and help them find support to overcome PCOS symptoms and reduce their risk for related life-threatening diseases. This is why PCOS Challenge is such a critical resource for women with PCOS, their supporters and the medical community. We must make PCOS a public health priority!" 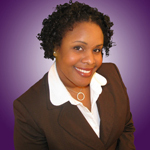 Ottey started PCOS Challenge, Inc. in 2009 after her own diagnosis a year earlier. Addressing the significant gap in the quality of information and resources available to women with PCOS and health care professionals, PCOS Challenge has quickly grown to more than 9,000 members worldwide. "PCOS Challenge will continue to have a big impact across the country as more are more women are getting screened and diagnosed because they, their family members and their doctors are watching the show. Many women say they would have never thought to get tested had they not seen the show," says William R. Patterson, CEO of The Baron Solution Group and Executive Producer of PCOS Challenge. 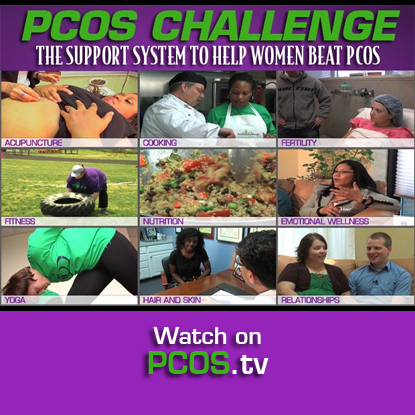 PCOS Challenge will run in various local cable markets across the U.S. through fall 2011 and will be available online at PCOS.tv. Support for PCOS Challenge is provided in part by Chiral Balance, LLC; EA Sports Active division of Electronic Arts, Inc.; US Foodservice; Pulling Down the Moon; SUBWAY; and Definitions Personal Training Plus. 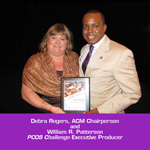 PCOS Challenge, Inc. is a 501(c)(3) nonprofit that provides support for women with PCOS through television and radio programming, educational workshops and online and offline support networks. 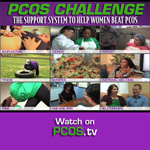 For more information about PCOS Challenge, Inc., the PCOS Challenge television show or how to become a sponsor, visit http://www.pcos.tv or http://www.pcoschallenge.org.